What on earth do I mean by that? And no, I’m not getting into your bedroom here, just giving you some food for thought and motivation to get things turbocharged. Put another way, you are virtually guaranteeing failure if you don’t prepare! If you really want to to enjoy success, you’ve got to PLAN for it. The process of planning can be quite tedious and time consuming, but if you knew that by going through the planning process, your results would be spectacular, don’t you think it would be worth it? 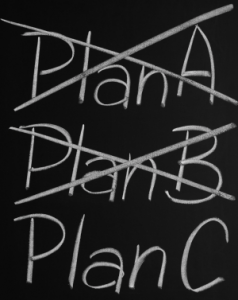 Successful empires are built by having solid plans – Planning is Foreplay! Planning (or preparation) is leverage – the time and effort invested in planning will yield you a huge windfall, a whole lot more than if you did not prepare. By having a plan, you have given yourself the best chance of successfully achieving your goal. That does not mean that the plan is static – you may have to revisit it as the situation demands and adjust accordingly, but you had a plan to start you off with! Now that you have your goal (and success) firmly in your mind, knowing that planning it out will be the catalyst to hitting the target should be enough to spur you to action.